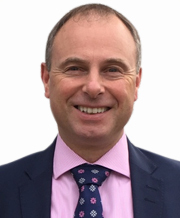 During his career, Colin has constantly sought to keep up-to-date with current thinking and the most modern techniques available within the profession, regularly attending postgraduate courses all over the UK. He has developed a keen interest in advanced restorative dentistry including implants, and all forms of cosmetic treatments. The in-depth, thorough examinations and preventative advice he provides are unhurried, meticulous and last around thirty minutes. It is extremely important to Colin that every patient is fully informed of their options before they make a decision as to which treatment to have carried out, so don’t be surprised if your consultation is a little longer than you are used to! Use this time to tell him what YOU would like done. Colin is supported by an excellent hygienist, Colette Ballantyne, CEB Dip Dent Hygiene, GDC reg no 5598, who graduated in 1999.